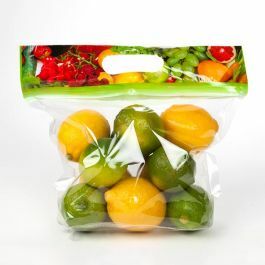 Our largest produce bag, "Ag Bag" for agricultural products are ideal for large fruit like apples. Smaller sizes make great grape bags or are perfect for other fruits like plumbs or even vegetables like peppers. Uniquely designed with a flat bottom and carry-out handle for displaying and transporting bulky products.